During the PMO 2018 Conference in London, where I was one of the speakers, I met Jack Duggal who wrote the book The DNA of strategy execution – Next generation project management and PMO. Jack gave the opening keynote speech Next-Generation PMO: The Future of the PMO in a DANCE world. During my flight back home I started reading the book. Jack uses the DANCE acronym to characterize today’s business environment. It is Dynamic and changing, Ambiguous and uncertain, Nonlinear, Complex and Emergent and unpredictable, driven by disruptive factors and shifting stakeholder needs and priorities. DANCE is comparable but broader than VUCA (Volatile, Uncertainty, Complexity and Ambiguity). The author uses a complexity continuum (simple – complicated, complex – edge of chaos – chaos) where in the simple and complicated domain you can use SPEC (Scope-Plan-Execute-Control) to manage linear, well-defined stable situations and in the other domain you have to manage the unexpected by using an organic approach. You must cultivate skills to Sense, Respond, Adapt and Adjust (SRAA). Note: same domains as we find in Snowden’s Cynefin model. DNA contains the genetic instructions used in the development and functioning of all known living organisms. Jacks asks and answers the question in this book if you could decode the DNA of effective strategy execution and what this means for project management and the PMO. He sees strategy, execution (the two foundational strands) and governance, connect, measure, change, learn as DNA elements. The context and customer focus is the operating environment in which the DNA thrives. See the Quick Reference Card I created to summarize this book. I added Simplicity as an additional element and each element has its own chapter in the book. Strategy with strands: Diagnosis the pain, make choices to minimize spending, design the selection and prioritization criteria, decide and commit appropriate action and evolve to adapt and finetune the criteria based on evolving strategy). Where to play, how to win, and what to do and, more importantly, what not to do, then selection and prioritization (based on business fit, strategic fit, rewards, risks and resources) of initiatives and projects in a coherent way. Execution with strands: Develop your people‘s talent and skills: artistry, DANCEing, changemaking, connecting, learning, entrepreneurial). You need an adaptive platform of enabling processes, technology as enabler (tools, systems, apps and bots) and work that flows through organizational channels (pooled, sequential, reciprocal and adaptive flow). 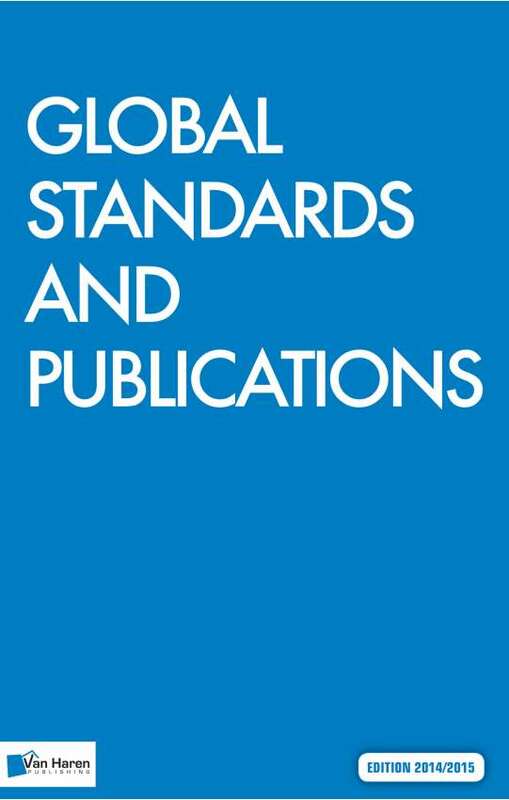 Governance with strands: To define and establish you need a steering body, standards are needed to establish a foundation of stability, effective policies/procedures for each of the DNA elements can expedite the flow of execution, use gates as decision points as a project or program progresses, use review/audit to assess the status, you have to be cognizant of the compliancy issues, unclear responsibility and accountability lead to confusion and delays, clear definition and limits of authority is a pillar of sound governance and clear decision rights result in effective actions (recommenders, agreers, performers, input, deciders) and simple rules/guidelines can help to steer in the right direction in complex situations (boundary, prioritizing and stopping rules). Connect with strands: lists what to connect – customers/stakeholders, silos, business, interfaces & interdependencies – with the how – networks and connections, marketing communications (marcom), relationships, and community and collaboration. The Stakeholder empathy map is a nice tool as a replacement for a stakeholder profile. Measure with strands: You have to know how to define success. Objectives help to define success and key results help to measure it (are you a Ben or BoB, Ben stands for Benefit: measure output and Bob stands for Benefit of the Benefit: measure outcome). How do we report (present and communicate) the measures and metrics to influence desired action, and are we learning and adjusting (double-loop learning). Change with strands: Awareness helps to better sense and prepare for the consequences of the change. Anticipation takes it further to develop capabilities to anticipate what we cannot see currently, particularly the unintended consequences of the DANCE – dynamic, emergent, and unpredictable changes. The PMO must do enough to assess and prepare for change readiness and the absorption of the change. Execution or implementation alone is not enough. 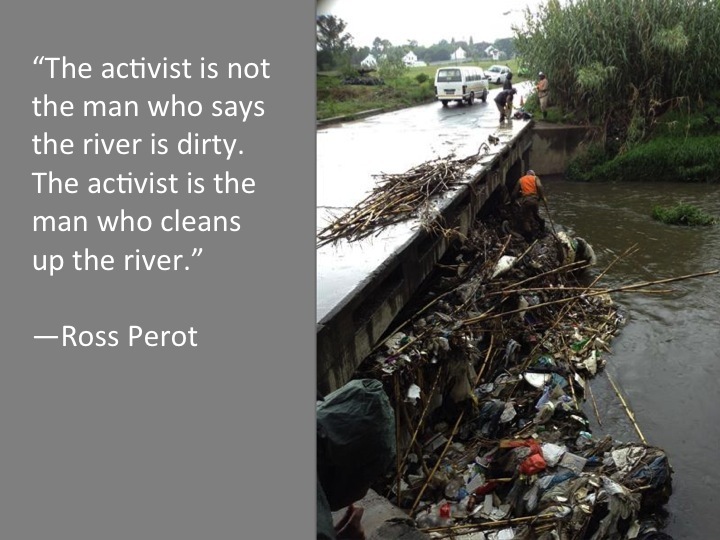 Without adoption, implementation has no value. We should start by understanding the customer? What does the customer need? What do they like and dislike? What motivates them? The choices that you provide to the customer help in paving the path and help to design the structure toward desired outcomes. Structured checklists can also help to pave the path toward greater adoption. To connect you need to frame memorable and sticky messaging and communicate it in a relevant way. When a senior leader have to start something new or any kind of change, the cannot do it on their own. They need the connectors, many agents at different levels that are infecting other and spreading the positive virus. 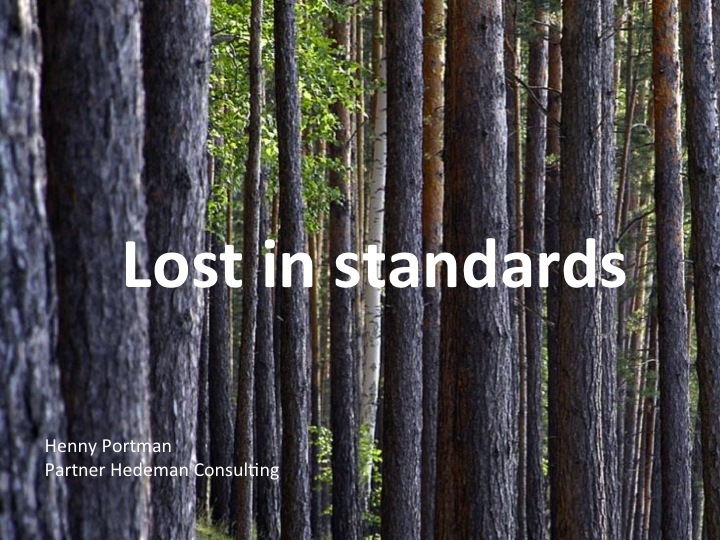 Learn with strands: Making failure acceptable and learning from it is easier said than done; it is a cultural issue. Curiosity is essential to remove the blinders. Knowledge management, document repositories, and collaboration tools to capture project artifacts are a foundational aspect, but not enough. You need feedback loops, feed-forward, retrospectives, pre-mortem, storytelling, and the learning question. All of this is only possible if employees feel they are part of a meaningful community. The PMO can be the curator to identify, organize, and share lessons, ideas, best practices, tools, and apps. There is a tendency to overestimate the role of planning beforehand, and underestimate the role of correction, after kick-off. In a constantly changing and disruptive world, continuous improvement is like running better and faster, just to stay in the same place, whereas continuous innovation is a double loop, where you learn and evolve to create something new and better. Simplicity: Simplicity is difficult to practice. Start by understanding and applying the following principles of simplicity: from whose perspective, minimalism – less is more, scalable, self-eliminating, desire lines and simple rules (10 laws of simplicity: Reduce, Organise, Time, Learn, Differences, Context, Emotion, Trust, Failure and The one). Build a Department of Simplicity and develop simplify intelligence. Conclusion: A book that helps to shape your mind and provides direction when looking at the fact that more and more organizations put agility as one of their themes to survive and you want to know what this means for your PMO if you want to continue to add value by your next generation PMO to your customer and thus your organization. Every DNA element is explained by using leading questions, decomposed into strands, accommodated by many examples, techniques, a checklist and key takeaways. 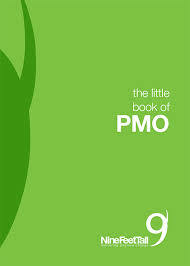 There are not that many books on PMO’s so this one is a must read if you are a PMO manager. In the appendix you can find an overview of PMO functions and activities organized by DNA elements and strands. Boeken voor projectondersteuners, projectassistenten, PMO’ers zijn er niet veel. Het PMO als pop-up shop zou je daaronder kunnen rangschikken. Het boek ‘Het projectassistentboek. Jouw rol en positie in projecten’ geschreven door Pieter Hoekstra, Peter Vos en Jakob Zwinderman past prima in dit rijtje. Het boek is onderverdeeld in negen hoofdstukken waarin de positie van de projectassistent wordt belicht, een introductie projectmanagement wordt gegeven en vooral wordt ingegaan op de noodzakelijke kerncompetenties van een projectassistent zoals samenwerken en beïnvloeden, communiceren, feedback geven en ontvangen, omgaan met conflicten en het slim gebruiken van tools. Het boek wordt afgesloten met een aantal bijlagen waarin naast eenvoudige templates, een aantal handige vragenlijsten worden aangeboden, waaronder het opstellen van je eigen invloedprofiel aan de hand van een veertigtal uitspraken. In het eerste hoofdstuk (Dans met de projectleider) wordt je eigen positie als projectassistent duidelijk en wat dat betekent voor de samenwerking met de projectleider. Het belang van een samenwerkingscontract wordt toegelicht (template in de bijlage). Het tweede hoofdstuk geeft enige basiskennis van projectmanagement zoals fasering en de GOTIK-factoren en de vier, volgens de auteurs, leidende projectdocumenten: projectopdracht, projectplan, voortgangsrapportage en projectevaluatie. Hoofdstuk 3 stelt het situationeel kunnen toepassen van verschillende beïnvloedingsstijlen centraal en gaat in op communiceren, luisteren, samenvatten en doorvragen. Wanneer moet je overtuigen, aansporen, onderzoeken of juist inspireren? Het hoofdstuk wordt afgesloten met een vijf stappenplan om een andere invloedstijl uit te proberen. Aansluitend gaat hoofdstuk 4 in op de verschillende niveaus van communicatie en krijg je inzicht hoe je De roos van Leary kan gebruiken om gedrag van anderen te koppelen aan je eigen gedrag. Hoofdstuk 5 gaat in op je eigen timemanagement inclusief plannen en prioriteiten stellen en hoe dit beïnvloed wordt door je eigen voorkeursmanier(en) van werken. De auteurs gebruiken hiervoor het acroniem SCHOP (Solist, Creatieveling, Helper, Optimist en Perfectionist). Hoofdstuk 6 helpt je bij het realiseren van een ideaal projectteam. Welke stappen moet je met elkaar zetten om meer uit het team te halen en welke teamrollen kent het ideale team (organiseren, creëren, stimuleren, produceren en controleren). Om het ideale team te bereiken ontkom je niet aan feedback. Hoofdstuk 7 geeft een aantal handvatten voor het geven en ontvangen van feedback. In hoofdstuk 8 geven de auteurs een toelichting op het ontstaan van conflicten, de mogelijke positieve of negatieve gevolgen van een conflict en hoe je met een conflict moet omgaan. De vijf conflictstijlen (wedijveren, vermijden, aanpassen, compromis zoeken en samenwerken) worden besproken. Het laatste hoofdstuk zoomt in op de tools. Tools die je helpen om het project te structureren en beheersbaar te maken zoals een actielijst, documentenbeheer (vaak onderbelicht), communicatie en planning. Conclusie: een helder geschreven boek waarin de theorie verduidelijkt wordt aan de hand van een case, verluchtigd met plaatjes van schilderijen en cartoons, en voorzien van vele tips, overzichtelijke werkbladen en handige tools voor de projectassistent. Ook een prima boek voor de startende projectleider die gaat samenwerken met een projectassistent. Wel een boek wat het traditionele projectmanagement, lees een watervalaanpak, centraal stelt. Ik had graag gezien dat de auteurs ook een specifiek hoofdstuk hadden gewijd aan de rol van projectassistent bij een agile traject. 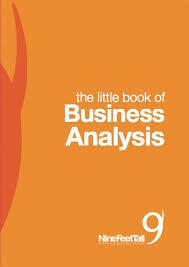 The little book of Business Analysis; Basic principles, tips, stats, facts and methodologies in an easy-to-follow format. 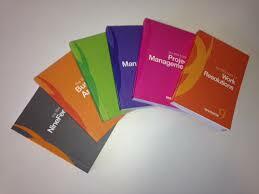 The little book of Project Management; Ideas and strategies to make every project run smoothly and efficiently. 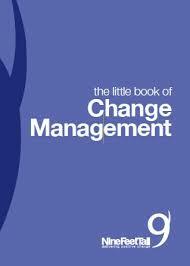 The little book of Change Management; Tips to help you manage and get the most out of change in your organization. The little book of PMO; Models, tools and processes appropriate for any size or scale of business. 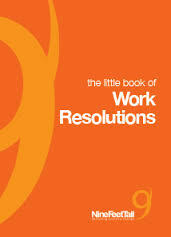 The little book of Work Resolutions; Tips to manage your own work-health and work-family balance. The little book of NineFeetTall; who they are, their services, people, experience and client testimonials. This book starts with ‘What is ….Business Analysis?, and the role of a Business Analyst?’ After setting your strategy you have to understand the internal and external factors that can effect your proposed strategy by using e.g. SWOT analysis, PEST analysis, Porter’s 5 forces or McKinsey’s 7S model. Next, you need to get a version of the truth by selecting the right elicitation techniques. You get pros and cons and when to use it for the following elicitation techniques: interviews, workshops and surveys. The following topic is all about capturing requirements. From requirements analysis, the definition of a requirement, documenting requirements, prioritizing requirements (MoSCoW), the sign-off and avoiding scope creep. Next topic is process design. The following process mapping tools and models are explained:,rich pictures, flowcharts, swim-lanes, use cases and data flow diagrams. What are the differences between improvement and re-engineering and/or business process redesign. The last parts are focussing on testing (strategy, plan and scope) and checking business readiness. 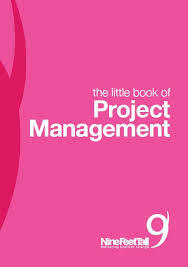 This book starts with definitions of a project and the role and type of a project manager. Several project lifecycles are explained starting with linear, followed by a more adaptive approach and ending with the Microsoft Dynamics Lifecycle – ‘Sure Step’. The beginning is the most critical point, so the objectives of project initiation and the steps to take are described. Direct/Indirect, tangible/intangible, (non-) monetary (dis-)Benefits as well as the business case are explained. Pros and cons of Agile, waterfall and PRINCE2 are given. A separate part is about Hatching the plan. What are the objectives of the planning, the essentials, the steps to take, defining benefits and calculating the critical path and managing risks and issues. Staying in control, communicating and using a change control process are key. And when you are done you have to select the right approach to go ‘live’, check if all pre-requisites (testing, training, business simulation, business readiness and communications) are completed. The last part is dedicated to the lessons learned, some common project pitfalls and some don’ts when picking a project name. Change management is about people in organizations to think, feel and do differently! Understanding requirements, emotional engagement and on-going actions are key. Based on the 9 principles results in five key elements of a change management programme. The first is about the vision and benefits. You get 9 tips for creating a powerful vision for change and tools to help understand the change. Lewin’s change model (unfreeze – change- refreeze), Berkhard & Harris change equation (dissatisfaction * desirability * practicality > resistance to change) and the ADKAR change model (Awareness, Desire, Knowledge, Ability, Reinforcement). As a next topic change leadership is explained including differences between managers and leaders, the Kubler-Ross change curve (denial – anger – bargaining – depression – acceptance – moving on) and leadership alignment. A following area is about stakeholder engagement & communications with tips, strategies and tools. The 9 C’s of communication and Monroe’s motivated sequence will help to develop an outline for persuasive communications. Next readiness and delivery of change are explained and the last part is focussing on training, development and skills transfer during a change programme. This book gives insight in the different types of PMO (Portfolio, Programme and Project Management Offices) and where they can be positioned within the organization. You get an eight-step approach to implement a PMO (Identify requirements, Position, Assess Culture, Provide Resources, PMO Charter, Establish, Continually Improve). Next topics are a governance framework supported by three pillars structure, information and people, reporting and communications in four directions in an organization and plan, cost and resource management. The RAID log (Risk-Actions-Issues-Decisions) as the key tool to manage risk is explained and the quality management cycle and change control are highlighted. The little book end with the PMO’s role towards knowledge and training management. This book is all about being or becoming more effective. From different perspectives you will get an explanation, tips and 3 changes you can make today. The areas are: technology (social media), health (fit for business, fit for life), environment (remote working), friends and family (balancing work and family), communication (from talking to tweet), time (time management, multitasking, time wasters) and personal development (goals). These little books give you a basic understanding of the mentioned topics. They are easy to read, full of simple checklists and tips, quotes and facts and figures. You can order them for free at http://www.ninefeettall.com (*UK addresses only). 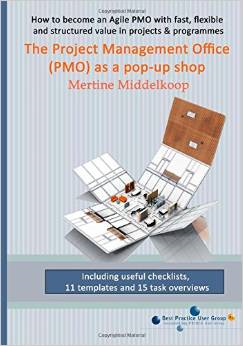 I just received from Mertine Middelkoop the English version of her book The PMO as a pop-up shop. Because I really like the content of this book, and it’s really complementary to already existing PMO books, I will give an updated English review so my English readers can benefit too! And I am in good company. This English version has forewords from Sue Vowler, the author of P3O and Peter Taylor, the author from Leading Successful PMOs. Mertine uses the metaphor of a pop-up shop. A pop-up shop is a temporary venue popping up one day, and then disappearing anywhere from one day to several weeks later delivering added value to one or more stakeholders. The permanent PMO with functions or services as the Centre of Excellence and portfolio management can be seen as a permanent store metaphor. The heart of the book describes the building blocks you can use to manage your pop-up PMO. You will get planning related building blocks e.g. 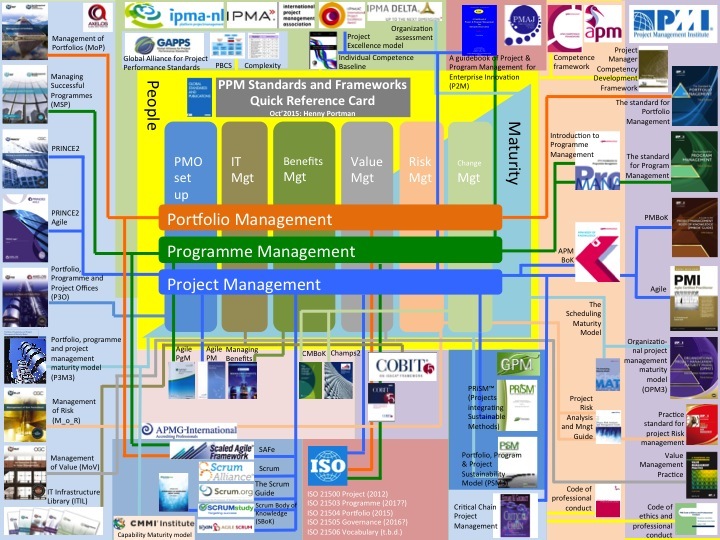 project set-up and closing, stakeholder management planning, resource management and benefits management. Delivery building blocks like reporting, risk, issue and change management, finance, quality assurance, information, configuration and knowledge management and secretariat activities. The last chapter is about passion for PMO. “Above all, be true to yourself, and if you cannot put your heart in it, take yourself out of it. by Hardy D. Jackson”. What can I say more? We need passion in our profession and without passion this book wouldn’t be there! The appendices offer you some handy checklists and intake forms to make a jump start with your pop-up PMO. Gisteravond heeft het PMO gilde een sessie georganiseerd over Agile vs PMO, evolutie of revolutie. Tijdens dit seminar, wat volledig uitverkocht was, heb ik een presentatie gegeven over het PMO. Startend vanuit de perceptie dat het PMO een passieve, bureaucratische club papierschuivers is, naar een activistisch PMO dat waarde toevoegt en gewaardeerd wordt door een organisatie. Daarbinnen de invloed van agile en b.v. scrum op een PMO ter discussie gesteld. Hierbij heb ik naast mijn eigen visie, het gedachtengoed van partijen zoals DSDM, BCG en Gartner gebruikt. Naast mijn presentatie kwamen ook Marc Zijlstra (ING), Paul van Sprundel en Jeroen van Diem (beiden ABN AMRO) aan het woord. Het intreden van Agile heeft grote gevolgen voor projectmatige werkzaamheden binnen organisaties. ING en ABN AMRO hebben hierin allebei hun eigen weg gekozen. Binnen ING werkt men niet langer met projecten en verdwijnen PMO’s. Een revolutie? ABN AMRO kiest juist voor het verder professionaliseren van Projectmanagement, een evolutie. Marc Zijlstra, Paul van Sprundel en Jeroen van Diem geven een kijkje in de keuken van beide grootbanken en leggen de gedachte achter hun beleid uit.